Of all the national capitals I’ve visited, and there’s been more than a few, none has felt less like a capital than Lisbon, Portugal. Maybe all the various governmental offices are far away from the city center, or maybe they’re just less ostentatious than their European counterparts, but on the whole, the city felt more like a relaxed seaside port than a stiff place of state. The architecture, despite the devastating earthquake, or perhaps because of the building up afterward, is consistently lovely and no detail seems spared for even the simplest of structures. 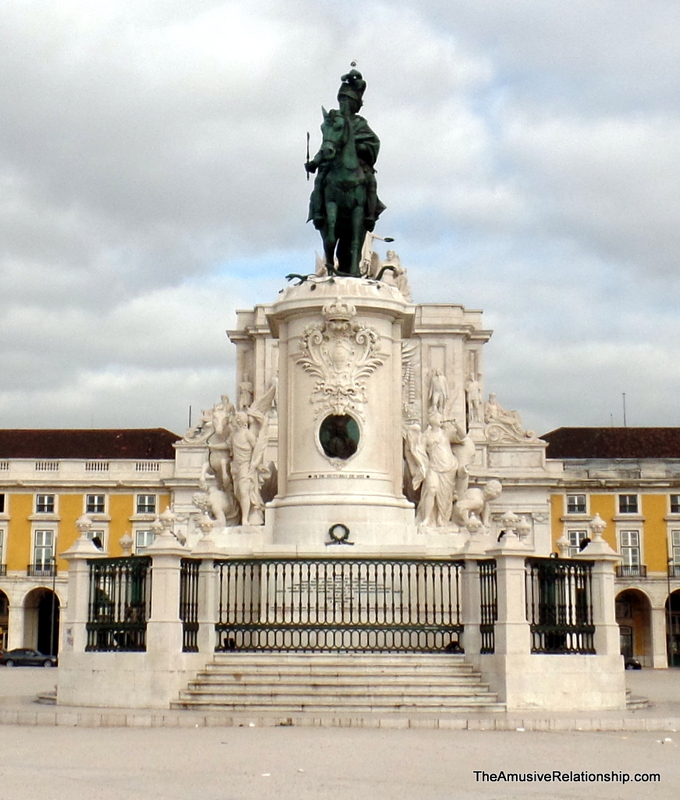 Statues and monuments celebrating the tremendous achievements of early Portuguese explorers are everywhere. I was reflecting, while I was there, at how truly difficult it must have been for sailors during the Age of Exploration. Politics and genocide aside, to sail thousands of kilometers aboard the ships of the time into unknown waters with rudimentary navigation and few maps took far more bravery than I think we give credit. After making just a day’s travel from rural Morocco to Lisbon put me into an exhausted and beleaguered mood. These men, and the occasional woman, would be months, sometimes years at a time floating on a small, stinking, crowded vessel beset constantly by dangers. Sure, I love to travel, but I doubt the 18th century merchant seaman life was for me. 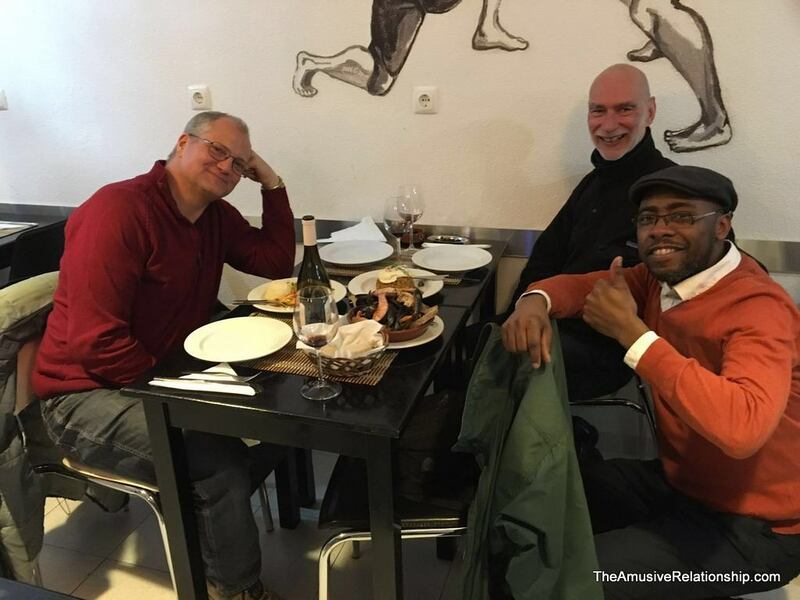 I flew to Lisbon to meet some good friends, Norman and Andrea. The had let me know they were in this hemisphere, so we arranged to meet. They had booked an AirBnB in the Alfama area, at the foot of Castelo de São Jorge and just below the Church of Saint Anthony (which everyone mistakenly calls a castle), and I was able to find a small apartment just 25 meters away. Little did we know at the time that we were in such a rich restaurant area. Literally, within three blocks in any direction, there were several excellent and affordable restaurants. Our second night there, we visited a small restaurant called Restaurante Mesa Kreol right next to our apartments. The owner is from the small island country off the coast of Senegal called Cape Verde, and the cook is from Brazil, another former colony. The menu changes daily and includes specialties from West African nations and former Portuguese colonies such as Senegal, Guinea-Bissau, The Gambia, as well as foods from Brazil and Mozambique. A musician friend of the owner plays nightly the soft moma music of his homeland. Our third night, we again ate very close to home, across the alley, in fact, from the night before at a place called Taberna do Vilarinho. Again, the menu changes daily based on market availability, so it’s hand written. 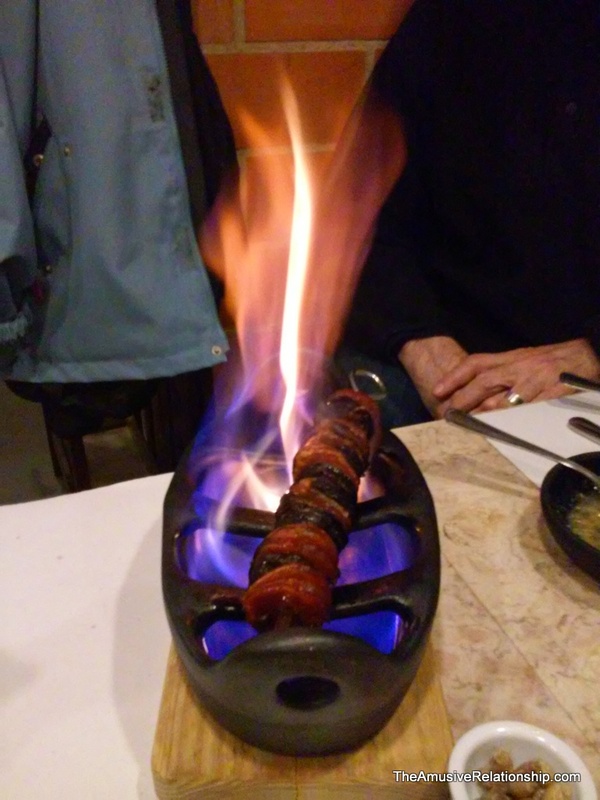 One of our appetizers was a variety of Portuguese sausages that come flaming to the table. I had some delicious quail and we even tried the twice baked pig’s feet, which were actually quite tasty. On our final night, I was overdone. The rich foods of the local cuisine combined with a long day walking the hills of Sintra made me long for some simpler fare. I found a quaint little Japanese restaurant called Tasca Kome that seemed promising. But, what began as a search for simplicity led to one of the best meals we’d had in all of Lisbon. The food was incredibly delicious and simple. It’s a family run affair that incorporates a Portuguese feel into their more traditional Japanese dishes. Perhaps my best food story, though, was when I was by myself near the Monastery of Saint Jerome in the Balém area of town. I had stretched myself pretty thin that day. I was fighting a cold, it was raining much of the day so I was soaked from extensive walking, and I had not eaten in nearly seven hours. I was cold, wet, and starving. I eyed an “artisan” burger place and thought it sounded perfect. 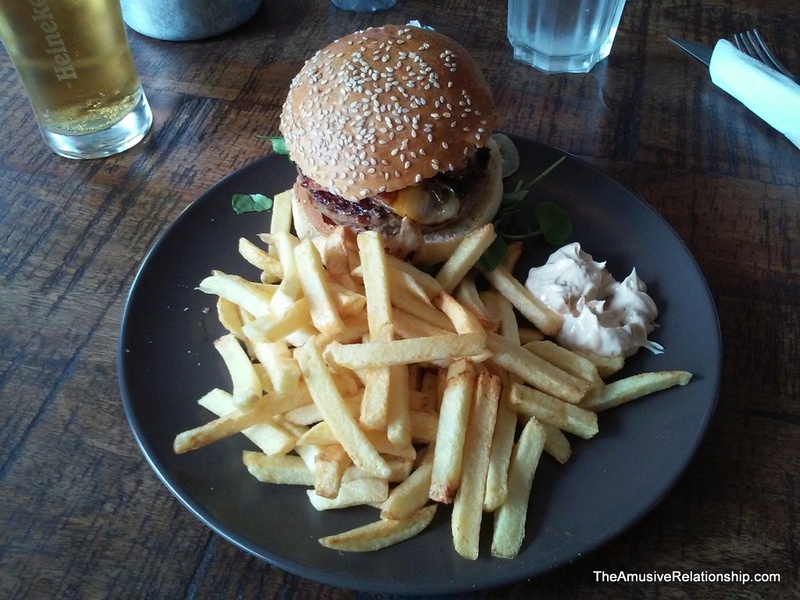 When to food came, it looked amazing and I dug right in, devouring it quickly and eagerly. Part way through, I looked up to see that everyone else in the restaurant was using a knife and fork to eat their burger and fries. I had never felt more American than at that moment. Lisbon is amazing. It’s beautiful and the food is delicious. Everywhere are historical sites and lovely landscapes. I highly recommend a visit to the city. Below are some of the photos of the trip. Again, after beautiful and most informative articles about Morocco (my new place to travel to! 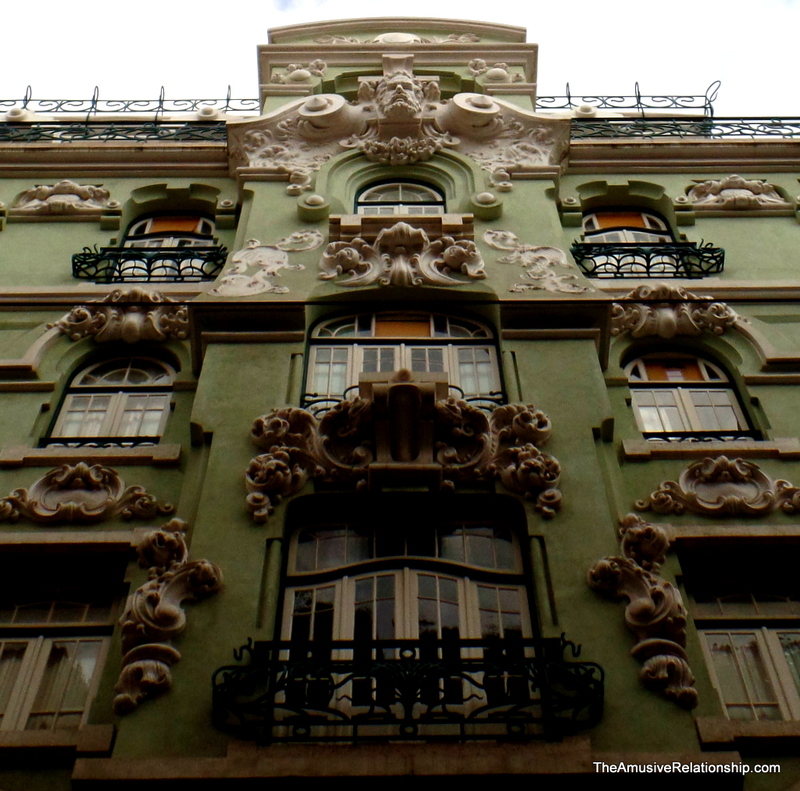 ): very good travel report from Portugal, creating an atmosphere that makes one feel to be there, too. – You are a good observer, with good thoughts on places and life, Thomas. Thank you for sharing! Thanks! It’s truly an amazing place.